Opening day should be a lot of fun in 2018. It’s been a forgettable 2017 season for the Toronto Blue Jays, who have sat in the AL East basement all season. Perhaps there’s no better time than now then, to look ahead to next year. We don’t know how the team will look next season, but we do know the schedule, which was released by the team on Tuesday. The season will open with a bang, as Toronto hosts the New York Yankees to start their schedule. 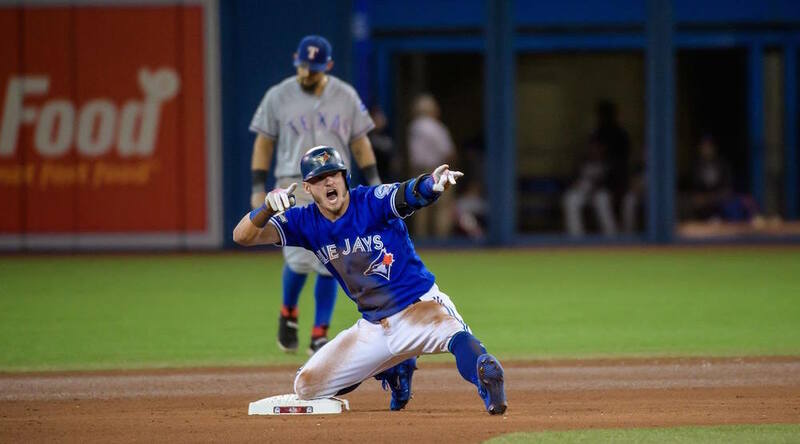 That starts a seven-game homestand for the Jays, before they head onto the road to play nine straight road games in Texas, Baltimore, and Cleveland. Nine Saturday home games will be played at 4 pm ET this season, with four remaining at the usual 1 pm ET start time. Four National League teams will visit Rogers Centre in 2018, including the Mets, Braves, Phillies, and Nationals. 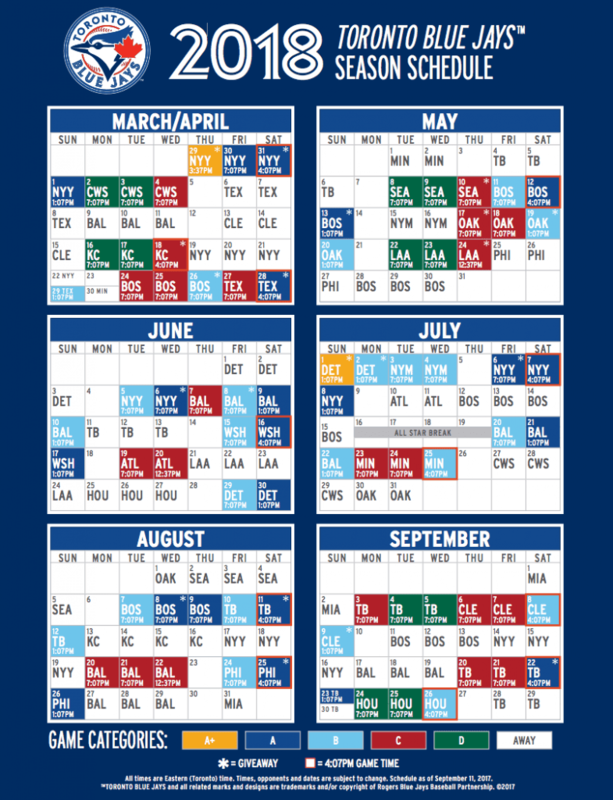 Toronto will travel to four NL ballparks, with road trips to New York, Philadelphia, Atlanta, and Miami on the schedule. Blue Jays nation should be out in full force in Seattle once again this season. Fans in BC and Alberta will happy to see that the Jays and Mariners play a four-game series at Safeco Field in Seattle during the August long weekend.